Who doesn’t want more free coins? 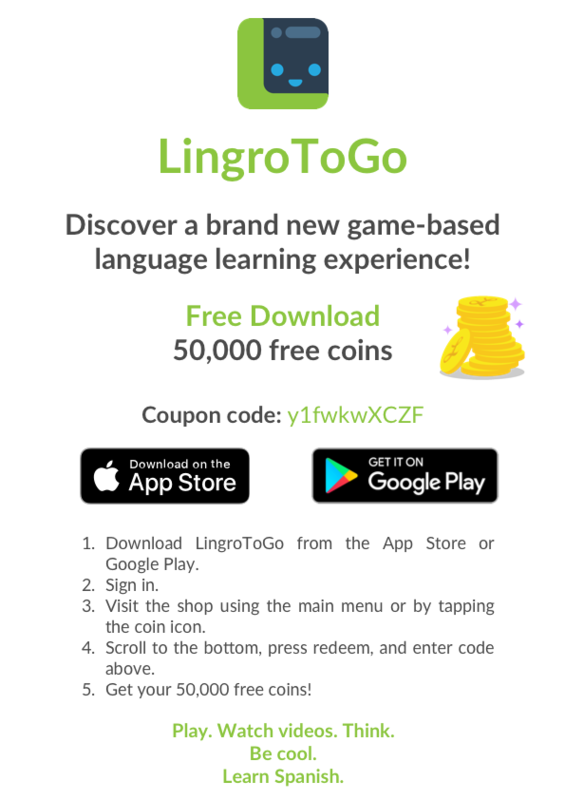 Download our free, game-based language learning app, LingroToGo, today and get a bonus 50,000 free coins to access new games, unlock additional content, and level up faster than ever! 1. 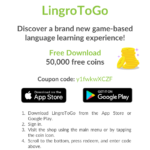 Download LingroToGo from the App Store or Google Play. 3. Visit the shop using the main menu or by tapping the coin icon. 4. 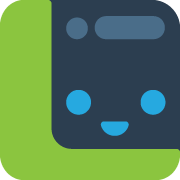 Scroll to the bottom, press redeem, and enter code above. 5. 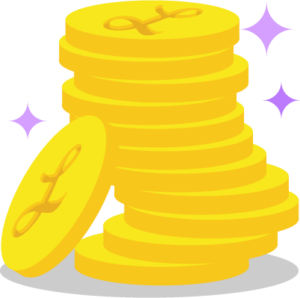 Get your 50,000 free coins! And don’t forget to leave us a review! Click on the link below to download a .pdf or .png version of this offer to print or post online for your students!